Attractive design you can leave on your counter top. 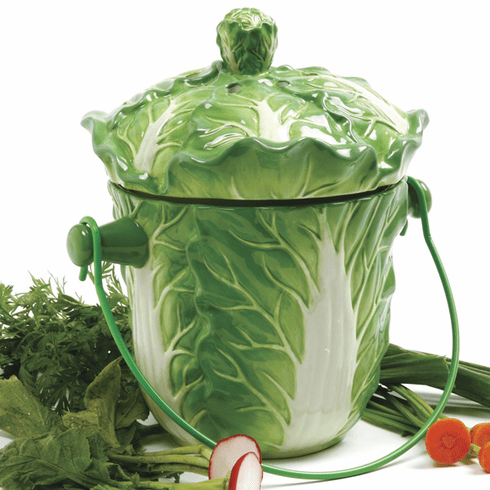 Measures, 9.25"/23.5cm tall Capacity, 1.75Qt/1.66L. Store peelings, egg shells, coffee grounds, loose tea, herbs, flowers, fruit and vegetable scraps for transfer to your garden compost. Includes a charcoal dual odor preventing filter in lid. Use replacement filter #94F. Hand wash with warm soapy water, rinse and dry.